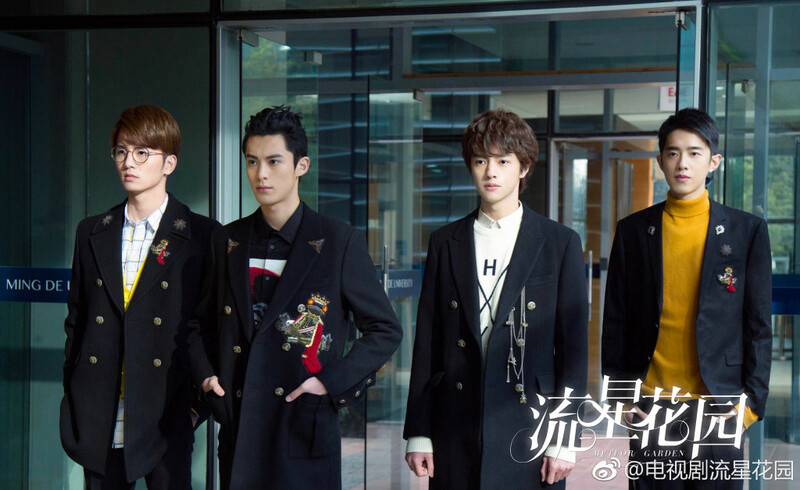 After spouting many successful adaptations from the 2001 Taiwanese drama to the more recent Korean Drama Boys Over Flowers, Meteor Garden 流星花园 is a 50-episode Chinese drama based on the manga Hana Yori Dango. Given its popularity, it's a show that really needs no introduction as it follows the typical poor girl meets rich guy romance in the setting of an ultra exclusive school. 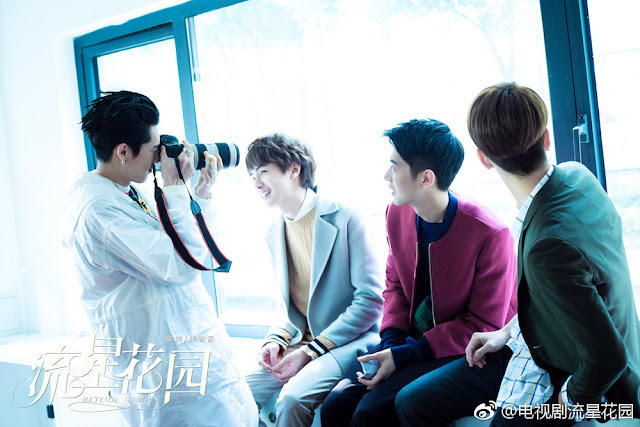 Its cast of newcomers led by Shen Yue, Dylan Wang, Darren Chen, Connor Leung and Caesar Wu has been creating buzz from the day they were introduced as they've done magazine shoots and product endorsements, not to mention numerous promos for the drama itself. Filming has been ongoing for three months and despite it being the umpteenth retelling of the same story, I'm so onboard for another ride. A lot of attention usually goes to the handsome hunks playing F4 for obvious reasons though I'm really liking Shen Yue as the plucky heroine and convinced that she would shine as Shan Cai, maybe even better than her predecessors who have tackled the same role. We get a glimpse of one scene where she's crying and she seems pretty darn expressive. See trailer here. Very excited for this one. I have only seen the other version 10 years after they came out (the outdated fashion a distraction). It will be interesting to see it fresh and in a 2018 setting. I'm really looking forward to this... I pretty confident Shen Yue will do a good job. I really hope the F4 can act especially Dylan. Me too! It would be awesome if the acting perfect with no cringing (I'm thinking the Korean version). I hope is turns out to be one of the best dramas this year. So far, I am finding the situations too outrageous so even if the acting is ok, it does not look convincing and the acting can seem bad. saw it and saw lots of comments saying this ver dont look as badass an luxurious as the manga and i agree, they seem all quite young lol but i also look forward to a more light hearted ver? 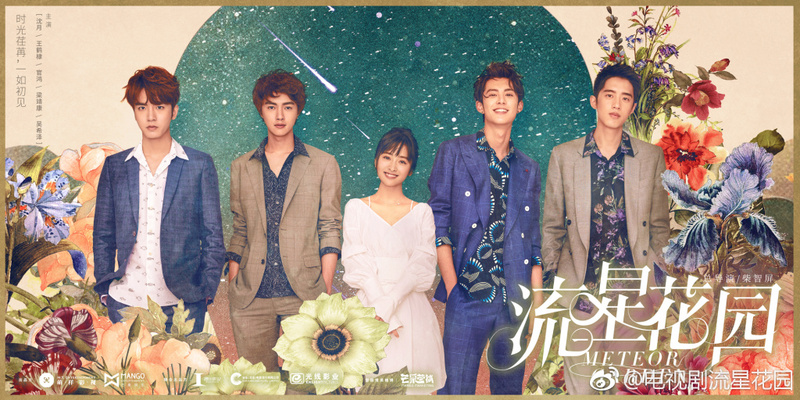 Saw the first ep on maplestage com and I could recognize most of the older actors and actresses from other dramas I have watched. Acting seems ok. This version has the female best friend of the main female. Main actress seems to have at least 3 moles on the face. Chinese are very superstitious and I do not know if the main actress believes in lucky moles. I prefer to watch My Story For You which is more realistic and also inspiring bec. main guy had to overcome unemployment and the main female had to overcome serious heart disease. I love this story. I love the manga and TV adaptations in Japanese, Chinese and Korean version. Looking forward to MG 2018 to be aired in the Philippines this month!